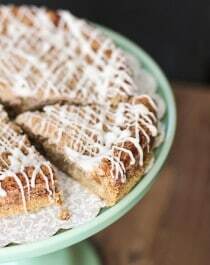 Healthy Coffee Cake — a fluffy and moist vanilla cake with a cinnamon-sugar layer hidden inside and a delicious crumble on top. So sweet and addicting and delicious, it’s seriously hard to believe it’s refined sugar free, low fat, high protein, high fiber and gluten free! Can you believe it’s February already?! At work, we have to date everything we bake off so we know exactly when each dessert was made. All day yesterday I was writing 1/31 (even 1/30 a few times) instead of 2/1 because it’s hard to comprehend that it’s already the second month of the new year. And speaking of the new year… RESOLUTTIONNSSS! Did we all forget about those? And speaking of falling in love… VALENTINE’S DAAAAYYYY! Don’t worry guys. 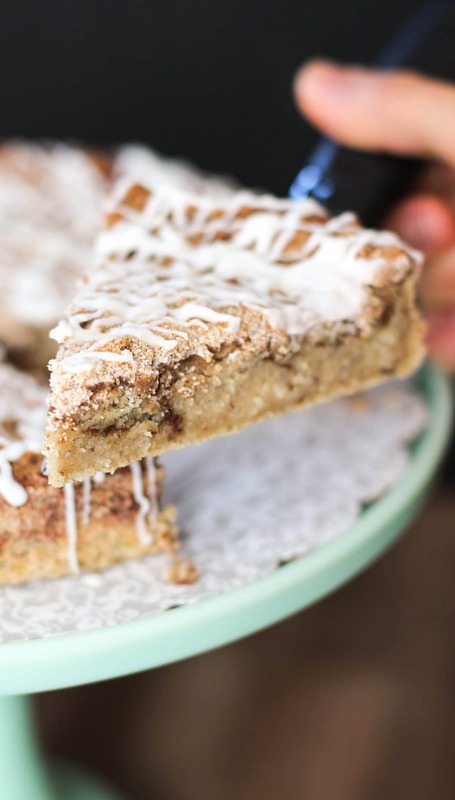 Whether you’re single or taken, I have the solution for you: HEALTHY COFFEE CAKE. 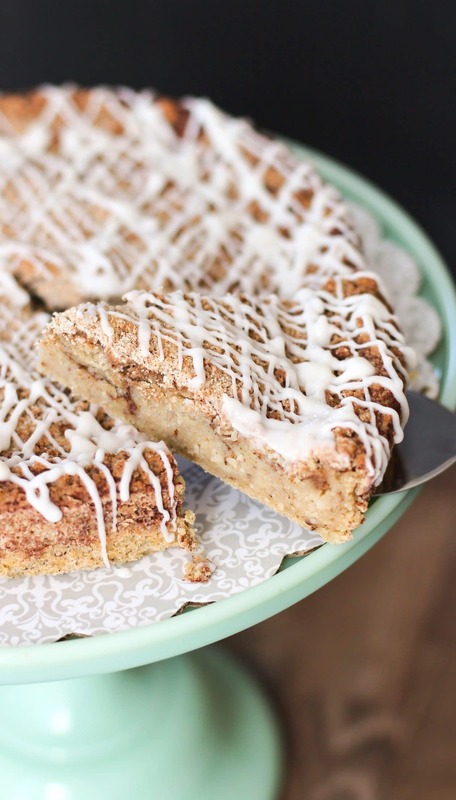 This Coffee Cake is a fluffy and moist vanilla cake with a cinnamon-sugar swirl inside, plus a delicious crumble on top. It's seriously hard to believe it's refined sugar free, low fat, high protein, high fiber and gluten free! Preheat the oven to 350 degrees Fahrenheit. Spray a 9" cake pan with cooking spray and line with a parchment paper circle. In a small bowl, whisk together the coconut flour, erythritol, baking powder and salt. In a stand mixer bowl with whisk attachment, add the applesauce, milk, yogurt, eggs egg whites, vanilla extract, stevia extract and butter flavor. Mix on medium speed. In a small bowl, whisk together the erythritol and cinnamon. In a medium-sized bowl, stir together all of the ingredients. Scoop half of the cake batter into the prepared pan and sprinkle the filling over top. Scoop the remaining cake batter on top and spread it out(I used an offset spatula). Sprinkle the crumble topping over the cake and bake for 1 hour. Let cool in the pan, then slice and serve! I made a simple icing to drizzle on top because I thought it was pretty. I just used powdered erythritol + a tiny bit of almond milk to thin. 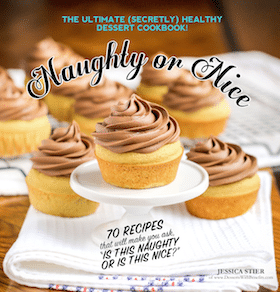 Recipe adapted from the Vanilla Cake in the Naughty or Nice Cookbook. Awww! I’m totally going to use that Nektar Naturals sweet note generator. Too cute. 🙂 I like the idea of using more sugars like honey or agave rather than erythritol. I feel like more people would have those sweeteners on hand vs. the erythritol so you could be hitting a wider market! Love your crusade against measuring honey. I feel your pain! Never heard of granulated honey before. I’ll have to check it out! As a fitness professional, nutrition coach, and sweets addict I thank you for your creativity, ingenuity, and your talent for making delicious and satisfying desserts. You really can have it all! 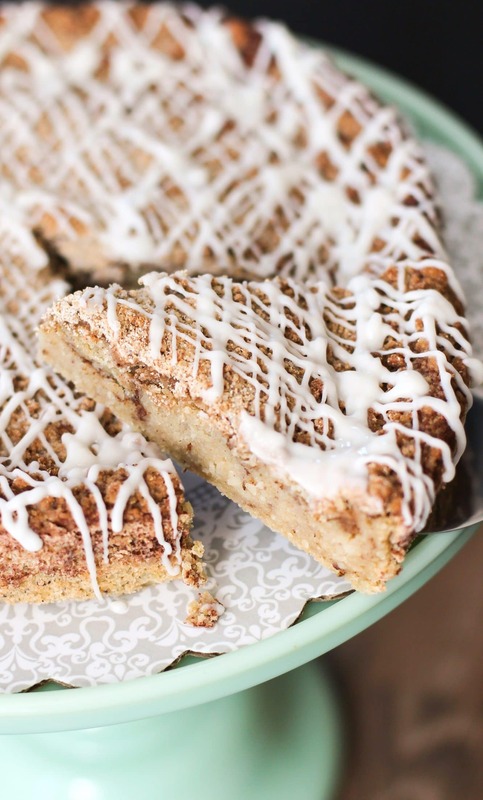 I love that this cake is SUPER healthy too! 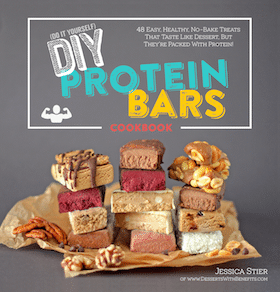 High in protein, low in fat, high in fiber as well! Yum! This cake looks amazing!!! I don’t have granulated honey, so would i be able to use regular honey instead? Or would coconut sugar work better? I love this recipe! 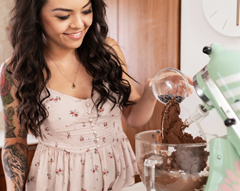 What other flour I can substitute the oat flour with since I don’t have oat flour? Thanks !! Hi. Pretty and delicious-looking. What can I substitute for Erythritol? Truvia?